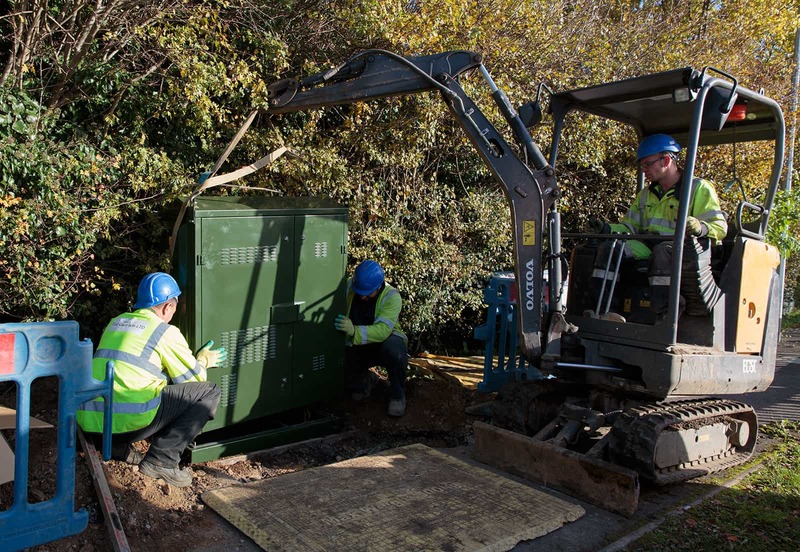 A major weakness of the Fibre to the Cabinet (FTTC) technology that BT is currently deploying for superfast broadband is that speeds are dependent upon the distance of the copper cable that runs between the street cabinet and business premises and homes. The FTTC technology currently used by BT is called VDSL2. Premises situated within a few hundred metres of a street cabinet may be able to achieve download speeds close to the maximum possible (80 Mbps today). However, those situated more than 1.5 km away may achieve significantly lower speeds. To help address the substantial speed drop-off from conventional VDSL2, BT is running a technical trial of so-called Long Reach VDSL (LR-VDSL) in several exchange areas. This trial commenced in August 2016. The technology is aimed at delivering higher download speeds than VDSL2 for distances in excess of about 1.5 km from the street cabinet. a narrower frequency band (with the maximum frequency being approximately halved to increase robustness against noise). The current VDSL2 system has a maximum downstream transmit power of 14.5 dBm. LR-VDSL uses a significantly higher transmit power of 20.5 dBm. The maximum downstream frequency that can be used for LR-VDSL is 8.5 MHz, which is significantly lower than the corresponding highest frequency (17.66 MHz) for conventional VDSL2 lines. While the BT trial aims to assess the realistic speeds possible from the technology, the table below provides estimates of potential speeds that may be achieved with the technology. Potentially, premises located about 2.5 km away from the street cabinet could achieve download speeds of nearly 20 Mbps, while those located 3.5 km away from the street cabinet could potentially achieve over 10 Mbps. In order to avoid LR-VDSL signals interfering with existing VDSL2 signals, vectoring has to be enabled on all lines from the street cabinet. This suggests that significant investment by BT may be required. We look forward to BT reporting on its LR-VDSL trial in due course, and we hope to see concrete plans for widespread deployment within the next two years. Otherwise, there will be millions of homes and business premises unable to benefit from services such as Ultra HD TV streaming.